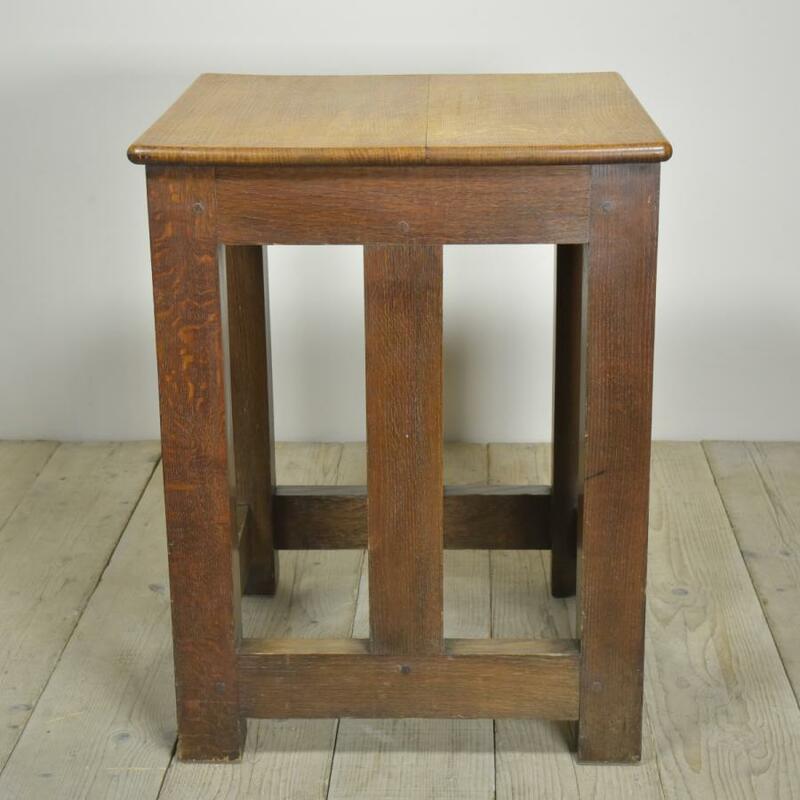 An antique oak safe table or stand of sold construction with a quarter sawn top. 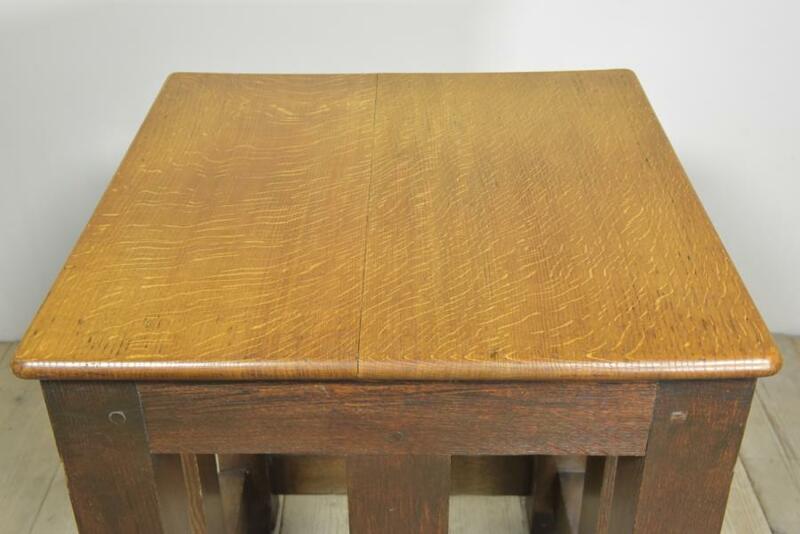 Quality pegged mortice and tenon construction and a buttoned on top. 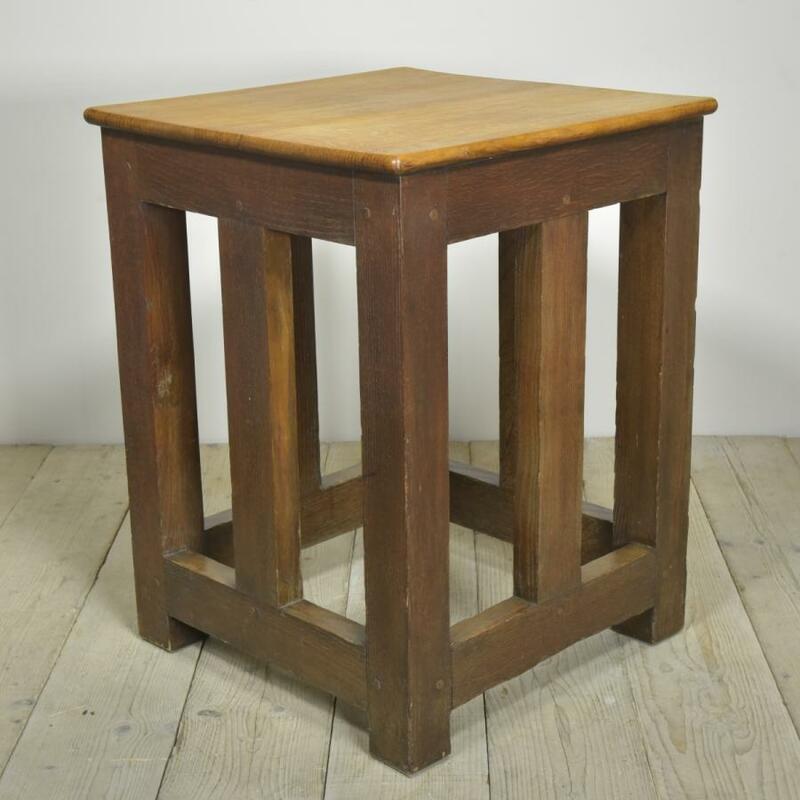 Great as is but could take a slightly bigger / thicker top for a kitchen island table. 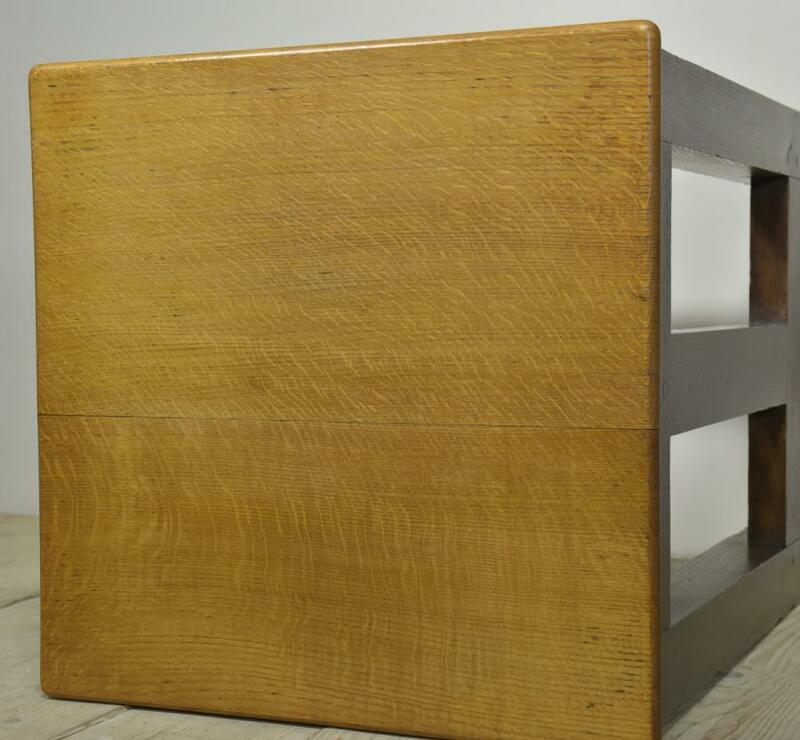 Dimensions in inches/cms; 33.25/85 tall Top is 26/85 square Main legs are 3.25 inches square and central struts are 3.75 inches wide. Base is approx 24.5/62.5 square. For more / higher res images please see my blog which can be accessed through the news section of this (Haes) website.